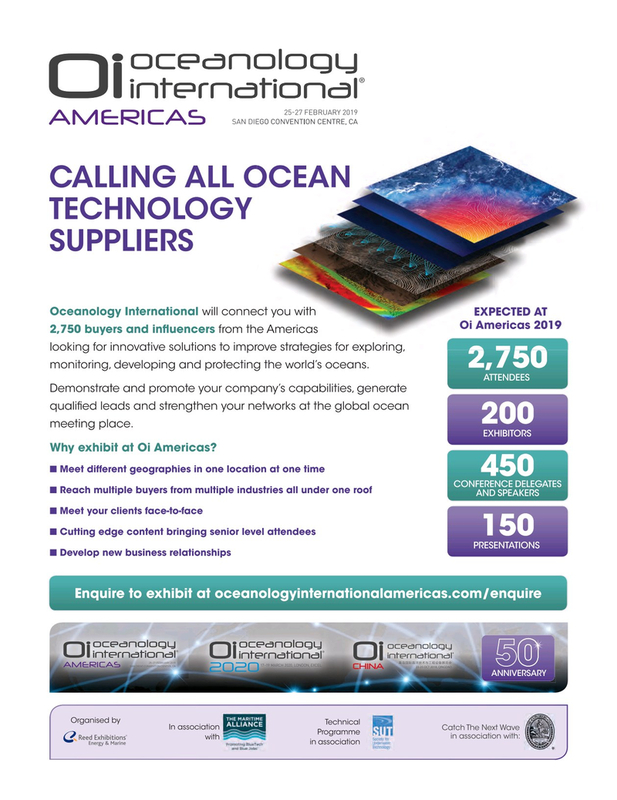 Oi Americas 2019 e Americas 2,750 buyers and infuencers from the Americas looking for innovative solutions to improve strategies for exploring, rovestrategiesforexploring, 2,750 monitoring, developing and protecting the world’s oceans. Demonstrate and promote your company’s capabilities, generate qualifed leads and strengthen your networks at the global ocean 200 meeting place. Why exhibit at Oi Americas?